Sunday 8th December 3-6 p.m.
Keep the date free! It'll an afternoon tea with networking, fun and friendship and theatre sports. EVERYONE WELCOME! Please bring your bookmarks, cards to share news - and we'll update you on the exciting new SCBWI website to ensure you all download your news/information - it's going to be an international showcase for all of you- thanks to Marjorie Crosby-Fairall & Sarah Davis! With the catering now done by Vincent's, bookings have to be made and confirmed by 3rd December. The Hughenden will take the bookings as a service to SCBWI - please book at reservations@thehughenden.com.au or ph: 02 9363 4863. It's tax deductible as a writing event. Parking: Free parking on Queen St and Oxford Street - if any special needs please email me for parking. - bring your books to sell, autograph, chat, enjoy the Queen Street ARTS Festival. Fabulous events in Queensland, Victoria, NZ and the talented Katrina Germein is doing events in SA and of course everyone's welcome to the events in WA - then there's the world. The new SCBWI website will connect you to events from LA to Singapore to Europe. Our SCBWI ACT gem, Tracey Hawkins, wanted to make sure you knew about these two upcoming events in Canberra. 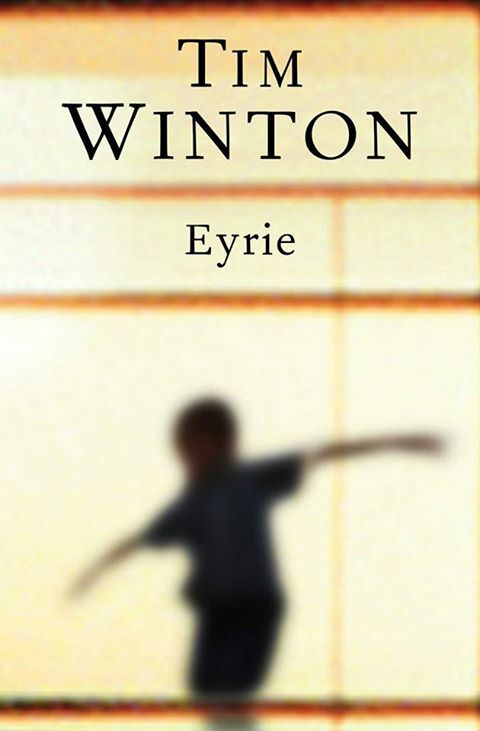 Penguin presents Australia’s finest writer, Tim Winton, speaking about his new novel Eyrie. Presented in association with ANU and The Canberra Times. Tickets are free but booking is essential. Early booking encouraged. Bookings onwww.timwintoncanberra.eventbrite.com.au or 02 6125 4144. Click on the flyer below to enlarge. What are publishers looking for? How do they operate? What can you do to give your submission the best chance of success? Includes time for audience Q&A. Afternoon tea will be provided. Wednesday June 12, 5:45pm - 7:15pm. Venue: Education Space, Mezzanine Floor, State Library of WA. Cost: $25 SCBWI members $45 non-members. With pen in hand, two illustrators at a time will duel it out as they illustrate their response to an unpublished picture book manuscript being read aloud. Wednesday June 12, 5 - 5:30pm. Venue: “The Place”, Mezzanine Floor, State Library of WA, Perth Cultural Centre, Northbridge. The afternoon will begin at 2.00 p.m. when I will introduce myself and talk briefly about current SCBWI issues and changes. At 2.20 we will hear from member author/illustrator Katrina Germain who will talk about her recent travels and latest projects. Vikki Wakefield will follow at 2.40 to share with us some of her recent publishing experiences. From 3.00 - 3.45 p.m. we'll break for afternoon tea and chat time, which I hope will be a great opportunity for people to mix and get to know each other and to talk about what's happening in their writing/illustrating lives. At 4.00 p.m. I will welcome our Guest Speaker, Dyan Blacklock, Publisher and General Manager at Omnibus Books, Adelaide who will talk about what Australian Children's Book publishers are publishing today and into the future. WHERE: Conference Room, Hutt Street Library, 235 Hutt Street, Adelaide. COST: $20 Members $25 Non-Members (includes afternoon tea). WHEN: Saturday, 23 March from 2.00 till 4.30 p.m.
Corinne King, PO Box 371, Warrandyte, 3113 - BY WEDNESDAY March 20 AT LATEST. Saturday March 16, 9:30am - 12:30pm. This crash course will provide an introduction to the industry. New members and non-members (and even the more experienced members wishing to join in the conversation) are invited to attend. Saturday March 16, 9:30am - 12:30pm. A workshop conducted by Glenn Swift, storyteller, public speaker extraordinaire, and teacher of the Alexander Technique. Learn how to minimise your nerves, maximise your presence, and speak confidently in a way that engages and inspires your audience. This workshop is aimed at published members and numbers are limited to 16 participants. Saturday February 23, 12:00-1.30pm. Please join us for our annual 'Lunch on the Grass' meeting at Perth Writers' Festival, this year with special interstate guests, current Australian Children's Laureate and much-loved author Alison Lester and writer and academic Dr Anita Heiss. Get your RSVPs in now for the annual SCBWI West Christmas Party! What: BYO BBQ item/mains, drinks, and a small salad/side dish to share. Please also BYO chair/picnic rug and to minimise waste, we ask that you also bring your own plate/utensils/cup etc. Please bring along a re-gifted, opshop, or homemade gift to the value of approx $10 for the Secret Santa pool. Antlers/santa hats optional but encouraged. In addition to the bring alongs above, you may like to bring copies of your books/illustrations for sale & signing. That way, anyone with little people in their lives get signed copies to treasure and the creators have a few more pennies in their pockets. Please mark items clearly with price and then sell/buy direct with your fellow members. There is no charge for this informal gathering; we will, however, run our usual raffle with a range of prizes on offer. Please RSVP to Meg McKinlay by December 5. We’re all waiting for the mega Christmas party on 6th December with THEATRE SPORTS organised by our mega team of Nathan Luff, Deb Abela and Wendy Blaxland. Thursday 6th December 2012, 6.30 p.m. – 10 p.m.
Come ready to party, perform, laugh and share the Christmas spirit. Join in as much or as little as you like with the Theatre Sports games - theatre always needs audience members just as much as performers!